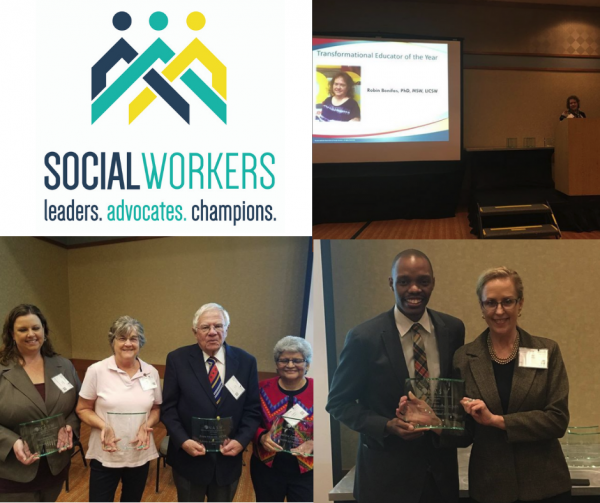 Read below for Chapter Updates, calls for leadership, calls for presentations, calls for award nominations, public policy and advocacy updates, historic Arizona wins for elected social workers, NASWAZ Executive Director Job positing, and more! Check our Chapter Calendar often.Your membership is needed now more than ever. Your membership helps us advocate for the social work profession and your interests.NOT A MEMBER? BECOME ONE TODAY! Follow us on Facebook,Twitter, and Instagramfor updates and more! Like and share our posts! Hello Social Workers of Arizona! What a great month for social work in Arizona with our fellow social workers winning key political office positions in our State: Kyrsten Sinema, Senator of Arizona and Katie Hobbs, Arizona Secretary of State!! Congratulations to them both! NASW AZ thanks you for the good work you do; you make us even prouder to be social workers here in Arizona! 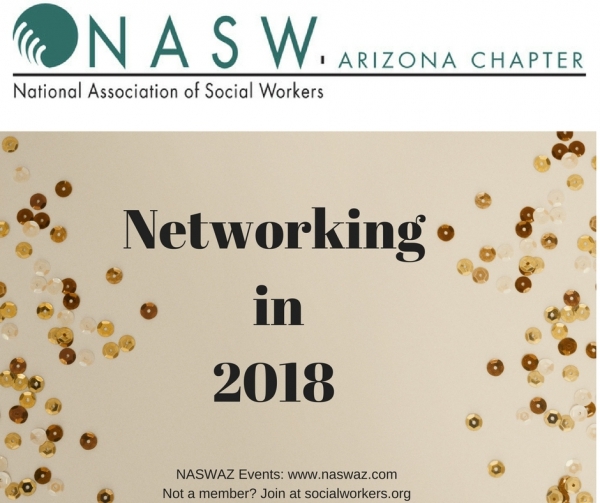 We also had a great NASW AZ Conference on Friday, November 2, at Tempe Doubletree Inn where we connected, learned and networked with fellow social workers while honoring the best in our profession and in our community! Congratulations once again to our award winners and thank you to all who attended! I have great hopes during this time of change and I hope you do too!!! Come join us as we recreate our future. 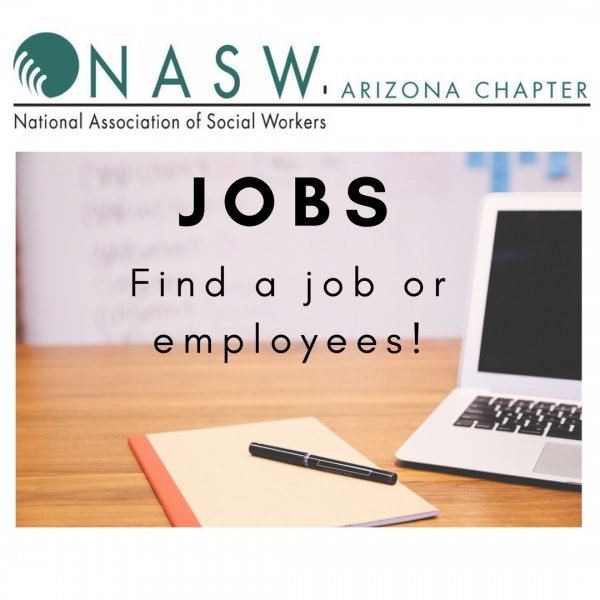 There is no better time to be a member of NASW AZ as we do the important work of meeting the needs of our members, promoting the values and needs of our profession and advocating for the policies that impact the full expression of wellbeing and human potential for all. I am so glad to be a social worker! Happy Holidays! 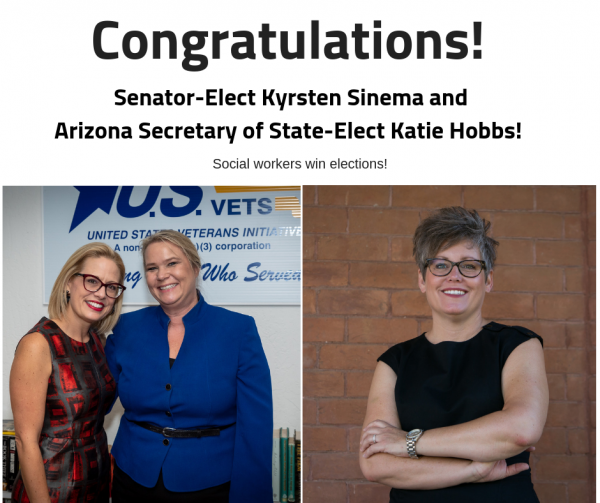 The National Association of Social Workers - Arizona Chapter would like to congratulate Senator-Elect Kyrsten Sinema, and Secretary of State-Elect Katie Hobbs on their historic wins this year. The social work profession focuses on assisting individuals, families, groups and communities enhance their individual and collective well-being. 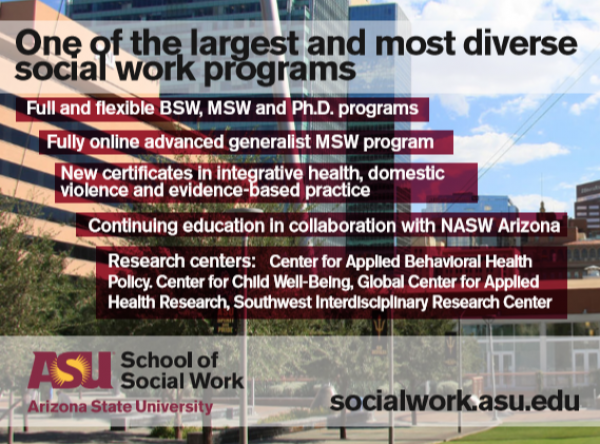 Social workers focus on empowering individuals to develop and utilize their skills and abilities to resolve issues impacting Arizonans. Kyrsten Sinema and Katie Hobbs are utilizing their social work education and experience by dedicating their lives to public service. With their historic wins, Senator-Elect Sinema will serve has the first female US Senator in Arizona history. Secretary of State-Elect is the first social worker elected to a statewide office in Arizona. CALL FOR CHAPTER LEADERSHIP! Run for the Chapter Board! Call for NASW Arizona Branch Award Nominations! Take a moment to nominate a colleague or community member for NASWAZ Branch level awards. To make a nomination, please fill out the nomination form below for the appropriate branch: Click here to submit a nomination today! Congratulations to our 2018 NASWAZ Award Winners honored at our Conference in Tempe on November 2nd.Pictured above are: Robin Bonifas, PhD (Transformational Educator of the Year); Heather Seets (Citizen of the Year); Nancy Devine (Social Worker of the Year); John Verrill (Lifetime Achievement Award); Josefina Ahumada (President's Award). 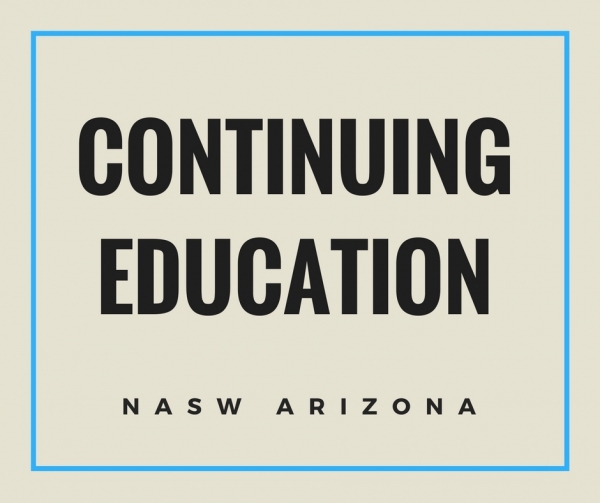 More NETWORKING and Continuing Education opportunities to come across Arizona in 2019! We know how hard it is to keep track of the constantly changing license renewal requirements, and we’re here to help. 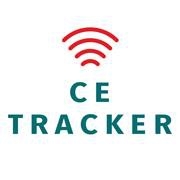 CE Tracker tells you exactly what you need to renew your social worker license in your state — everything from the amount and type of CE’s needed, to renewal deadlines. 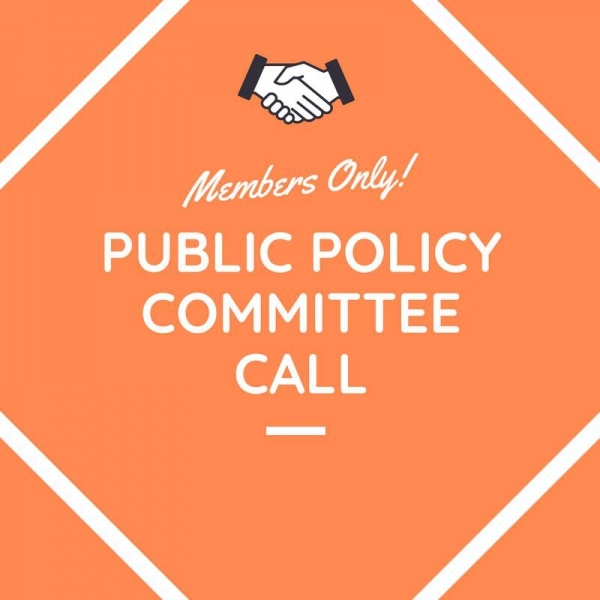 Public Policy Committee Calls:NASWAZ members will hear from the Public Policy Committee on legislative and regulatory updates that affect the social work profession.Calls are scheduled the 2nd and 4th Tuesday each month.You must register at naswaz.com to join the call. This meeting is open to NASW members only. Please click here to register and let us know you'll be there! The Notice of Final Rulemaking was filed with the Office of the Secretary of State on November 13, 2018. The rules will become effective on January 12, 2019.To view the filing, click here. 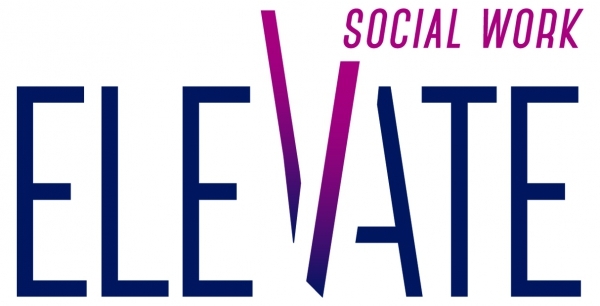 At the national level, NASW continues to engage in advocacy. NASW is working with the National Center on Elder Abuse and the FrameWorks Institute on an initiative to reframe communications about elder abuse, thereby promoting effective social policy solutions that prevent and address the problem. Read this NASW member–only Practice Perspective to learn how to apply the Reframing Elder Abuse strategy in your own work and to obtain current information, tips, and resources about elder justice. The Office of Ethics and Professional Review (OEPR) provides individual ethics consultations as a benefit of NASW membership. Ethics consultation telephone calls are answered on a first come first served basis and are not pre-scheduled. If you call during consultation hours and receive a voice-mail response, we request your patience as we complete earlier member calls. Please leave a brief message clearly stating your name and contact number and we will return your call. Due to the high call volume, we ask that you allow 24 hours for a return call. Have you experienced MyNASW Community yet? Visit mynasw.socialworkers.org to check out NASW’s latest member benefit. 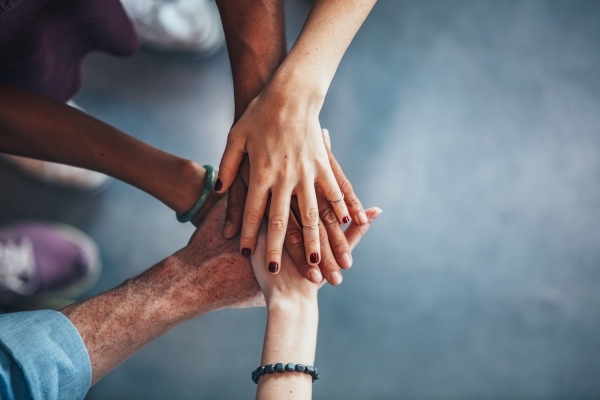 This online community provides the tools you need to communicate, connect and collaborate with social work’s best! Post Jobs and Find Jobs! Searching for Job in Arizona? NASWAZ Members may search for jobs at www.naswaz.com under our Career Center link andemployers may post jobs for free! TherapyNotes integrates scheduling, notes, medical records, billing, credit card processing, a custom client portal, and more to facilitate the workflow of psychologists, giving you more time to focus on what's most important: your clients. Sign up today and receive your first month FREE plus a 10% discount for your first year of TherapyNotes. Your promo code NASW will be automatically applied when yousign up here.